We know that diet can have a major impact on overall health, and specifically on the risk of serious disabling illnesses that affect the brain, such as stroke and dementia. A recent study showed that people who regularly consumed artificially sweetened beverages had a 3x higher chance of experiencing a stroke or of developing dementia than those who did not regularly consume artificially sweetened beverages. Stroke and dementia are among the most profound diseases that affect the brain, and also are among the leading causes of death and disability in the world. An article published in the journal Stroke in 2017 reported the results of a study that followed over 4000 adults for 10 years, recording their intake of sugar sweetened and artificially sweetened beverages. The results showed that participants who regularly consumed drinks sweetened with artificial sweetener experienced almost three times the risk of stroke and dementia when compared with those who did not consume artificially sweetened drinks. Interestingly, drinks sweetened with sugar were not associated with an increased risk of stroke or dementia. Overall, the research also showed that the relationship between artificially sweetened drinks was stronger for stroke risk than it was for the risk of developing dementia. This is not surprising because, in general, diet has a stronger impact on the physical changes that lead to stroke than it has on the physical changes that lead to dementia. Stroke is an illness that is strongly associated with lifestyle risk factors, such as diet, exercise, smoking and stress. Hereditary factors have a relatively small impact on stroke. On the other hand, hereditary factors are believed to play a larger role on the risk of dementia, while lifestyle factors such as smoking, exercise, and diet have a moderate impact. Some types of dementia, such as vascular dementia, are caused by strokes, while some types of dementia, such as Alzheimer’s disease, are not strongly linked with strokes. Why Do Artificially Sweetened Beverages Lead to Stroke and Dementia? There are a number of explanations for this link. Specifically, in the recent study, the participants who consumed more sweetened beverages and who also developed stroke or dementia within the 10-year time frame were more likely to have hypertension or diabetes. Hypertension is a known risk factor for stroke and dementia, while diabetes is a known risk factor for stroke. It is not clear whether artificially sweetened drinks could cause diabetes and hypertension, and they have not typically been known to cause these medical conditions. There is also another possible explanation in terms of the relationship between artificially sweetened drinks and strokes and dementia. Individuals who already have medical illnesses that could lead to stroke or dementia may be more likely to choose artificially sweetened drinks in order to decrease caloric intake and to manage blood sugar levels. This is especially likely for people with diabetes, who may select sweeteners that don't raise blood sugar levels. There are also unknown chemical actions of artificial sweeteners that could have an impact on the body. 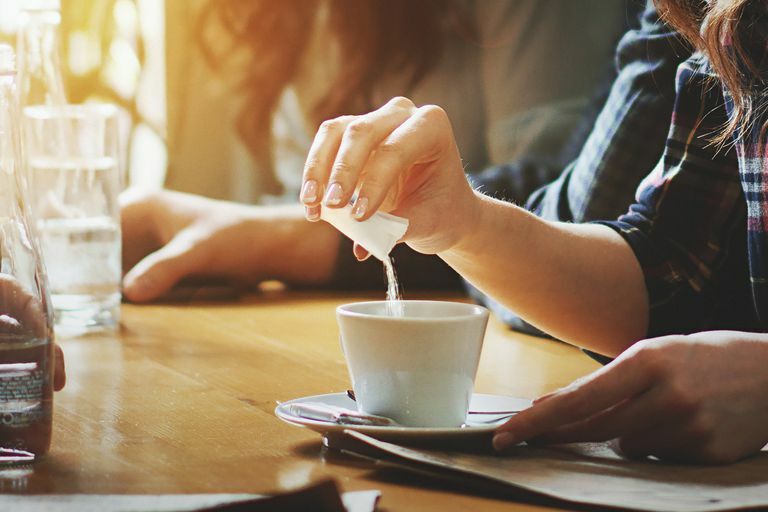 In this particular research study, the report did not distinguish between the many different types of artificial sweeteners, and there may actually be a few that increase the risk of stroke and dementia, while others do not. In fact, it is not known if some sweeteners that are categorized as ‘artificial sweeteners’ may actually be beneficial, rather than harmful. Maintaining a healthy diet has an impact that lasts for your entire life. Diet is strongly connected with stroke risk. It is known that dementia is linked with diet, although there is not a strong link. Overall, the diets that are best for your brain health include the Mediterranean diet and diets that are moderate in calories and include optimal amounts of protein and vitamins. In fact, certain protein deficiencies and some vitamin deficiencies are linked with increased chances of having a stroke. Seafood had been shown to reduce stroke risk, while a vegetarian diet has its pros and cons in terms of stroke risk. Wine and other alcoholic beverages also have an impact on stroke risk. And the best news of all is that chocolate, which almost everybody likes, has been shown in some research studies to lower stroke risk.